Dr. Stan Kellar, a pulmonary and sleep physician, has served as the DIO for the Baptist Health- UAMS Medical Education Program since its inception in 2016. Dr. Kellar graduated medical school from UAMS where he also completed his Internal Medicine residency and Pulmonary fellowship. 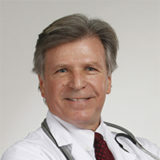 Dr. Kellar has been a practicing physician in the North Little Rock area for over 30 years. One thing that Dr. Kellar is passionate about is medical missions work. Dr. Sarah Harrington is an Associate Professor in the UAMS Department of Internal Medicine, and she is the Director of the newly formed Division of Hospice and Palliative Care Medicine, specializing in hospice and palliative care at the Winthrop P. Rockefeller Cancer Institute and Central Arkansas Veterans Healthcare System. After receiving her medical degree from UAMS, Dr. Harrington completed her residency in Internal Medicine and fellowship in Palliative Medicine at Virginia Commonwealth University Medical Center in Richmond, VA. She continued at Virginia Commonwealth to receive her fellowship in Palliative Medicine. Melissa Yandell has served as the Associate DIO since the Institution’s inception in 2016. 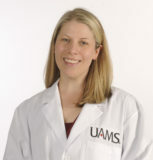 Melissa completed her Masters of Health Administration graduate work at UAMS. Before joining the Baptist Health- UAMS Medical Education Program, Melissa worked for Baptist Health as an Administrative Fellow and the Night Administrator. When not at work, you will find Melissa spending time with her husband and little boy. Aja Poole is the administrative assistant for GME. She completed her bachelors in psychology at Fisk University. She plans on pursuing her masters in health administration soon. Before joining our team, she was a patient care technician in the ER at BHMC-LR. Outside of work, she spends time chasing her 2-year old son and 11-year old nephew.